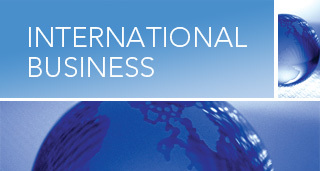 Stay up-to-date on international business and trade news from San Diego. Get assistance and learn about programs to help you conduct business in this global economy. Contact us at contact@sddt.com to get more involved. The San Francisco Bay Area Center for International Trade Development (CITD) is pleased to host our First Annual IGTLC Conference. AM Meetings Baja California is Mexico's first one-to-one meetings platform which connects decision makers with suppliers in the advanced manufacturing and technologies sector. Discover Global Markets: Pacific Rim Consumers is a dynamic 2-day conference focused on thriving consumer markets throughout Asia and the Pacific region. The U.S. Small Business Administration recently announced that it will provide $17.4 million in funding to help small businesses expand globally. As Baja California, Mexico's manufacturing sector continues to grow, so do the opportunities for suppliers in Southern California region. Join the San Diego CITD at BajaMak 2015 on October 22nd in Tijuana, Mexico. The Los Angeles Area Chamber of Commerce, California Manufacturing Technology Consulting (CMTC), and the Port of Los Angeles invite you to participate in a trade mission to the Messe Nagoya Trade Fair in Nagoya, Japan. On August 5th, 2015, the San Diego CITD and the San Diego District Office of the U.S. Small Business Administration will host a workshop for current exporters and ready to export companies. The U.S. Trade and Development Agency (USTDA) recently welcomed the California Centers for International Trade Development (CITD) as a partner organization in its Making Global Local initiative. More than 20 students from the University of Guadalajara, Mexico were in San Diego as part of a professional development program sponsored by the U.S. Department of State called the International Visitor Leadership Program (IVLP). The San Diego District Office of the U.S. Small Business Administration (SBA) and the Center for International Trade Development (CITD), hosted at Southwestern College, have teamed up to help small businesses grow through international trade. On July 10, Mr. Yui Kei Chan, also known as "CYK," will be visiting the U.S. Commercial offices in San Diego to meet with companies interested in the Singapore market. As part of the U.S. Commercial Service congressional directive, he is responsible for assisting U.S. companies in exporting their products to Singapore. On Aug. 5, 2015, the San Diego CITD and the San Diego District Office of the U.S. Small Business Administration will host a workshop for current exporters and ready to export companies. Need capital to help finance your export activities? Need financing to help manufacture or purchase goods for export? Want to offer credit terms to your foreign buyers, but are concerned about payment? The SBA and EXIM Bank have several loan guarantee and direct loan programs available to that can provide working capital to support export orders or the export transaction cycle, and provide insurance on your foreign receivables. The California Academic Senate approved Supply Chain Technology (SCT) at its Spring Plenary session as a new academic discipline for the 112 community colleges in California. As part of a series of workshops geared toward getting more small business owners to look abroad as a way to grow their businesses, the San Diego District Office of the U.S. Small Business Administration hosted a free workshop on the benefits of exporting and the resources available to help them successfully expand into the global marketplace. San Diego State University played host to a meeting organized by the Deputy Sector Navigator for Global Trade & Logistics (DSNGTL) for its Knowledge Community of International Business Programs in Region 10. The CITD was fortunate to host two interns from Southwestern College this semester: Jesus Guardado and Andrea Martin. On June 24th, 2015, the Otay Mesa Chamber of Commerce will host a NAFTA compliance seminar at Southwestern College's Higher Education Center in Otay Mesa. The first of its kind in Baja California, the Baja California Logistics Forum will be the ideal event to learn about trends and projections that can help you make the best decisions for your supply chain strategy. The San Diego office of the U.S. Small Business Administration (SBA) will be hosting a free workshop in North San Diego County for businesses who are seeking growth through global markets or need financing to support international trade endeavors. What does World Literature have to do with Global Trade? On the surface, it seems like they are two completely different things. However, they are more connected than you think. SelectUSA, part of the U.S. Department of Commerce, was created to showcase the United States as the world's premier business location and to provide easy access to federal-level programs and services related to business investment. On June 3, the San Diego office of the U.S. Small Business Administration (SBA) will be hosting a workshop for businesses who are seeking growth through global markets or need financing to support international trade endeavors. Take advantage of a low-cost opportunity for Californians interested in understanding and seizing competitive advantages in the exploding food, culture, and entertainment markets of South Korea and Japan! On Thursday, May 14t the U.S. Department of Commerce and the U.S. Consulate in Tijuana will host a seminar on how to invest and set up operations in the U.S.
With 96% of the world's consumers living outside of the U.S., it makes sense for businesses to seek growth through global markets. Over the last 26 years, the Otay Mesa Chamber of Commerce has organized what has become the region's premier industrial trade show. Known asMEXPORT, the trade show's goal is to facilitate cross-border trade by promoting supplier opportunities with major manufacturers in the Southern California/Baja California region. Trade is an important economic driver that creates high wage jobs, however, it is not uncommon for students, particularly at the high school level, to be unaware of the opportunities in this field. The Mexican Chamber of the Construction Industry - Tijuana Chapter will be holding its annual International Construction Expo from May 6 - 8, 2015 at the Baja California Center, Tijuana's newest convention and exhibition center. The Deputy Sector Navigator (DSN) for Global Trade and Logistics - San Diego & Imperial Region, and Grossmont College's High School/CTE Partnership Program, will be hosting a workshop on April 21 for local high school teachers to determine how global trade and logistics concepts can be incorporated into their current classes. The U.S. Commercial Service, San Diego CITD, Ex-Im Bank, and California State University San Marcos, will be hosting a Medical Technologies Export Workshop on April 24, 2015 at the CSU San Marcos campus. Over the last 26 years, the Otay Mesa Chamber of Commerce has organized what has become the region's premier industrial trade show. As part of the Go Global San Diego initiative, the MetroConnect Prize provides small and medium enterprises (SMEs) with the resources they need to take their business to the rest of the world. A new trade and investment initiative called "Go Global San Diego" was launched on March 11 at an event hosted by the San Diego Regional EDC and sponsored by JP Morgan Chase. The U.S. Commercial Service, San Diego CITD, Ex-Im Bank, and California State University San Marcos, will be hosting a Medical Technologies Export Workshop on April 24th, 2015 at the CSU San Marcos campus. The workshop will cover export opportunities for medical-related products in various markets around the world, including supplier opportunities in Mexico. The Deputy Sector Navigator (DSN) for Global Trade and Logistics - San Diego & Imperial Region, and Grossmont College's High School/CTE Partnership Program, will be hosting a workshop on April 21st for local high school teachers to determine how global trade and logistics concepts can be incorporated into their current classes. The Mexican aerospace industry has grown dramatically in the past 10 years, not only in its traditional home of Queretaro state, but now in Baja California. Mexican aerospace has grown from 100 U.S. and European manufacturers in 2004 to over 300 in 2014. Mexico's Manufacturing Supply Chain Summit 2015 in San Diego, CA is a unique opportunity for leading OEMs in Mexico and potential suppliers to meet and identify new business partners. The Southwestern College Career Center will be holding a Global Trade & Transportation Showcase on March 17th, 2015 from 9:30am to 12:00pm at the college's main campus in Chula Vista. The showcase is an opportunity for students and faculty to learn about programs and career opportunities in the Global Trade & Transportation fields. The California Community Colleges Chancellor's Office recently set up a website to showcase regional collaboration success stories under its Doing What Matters for Jobs and the Economy (DWM) initiative. The website, called Practices with Promise, was developed as a tool for stakeholders to develop and share best practices in the implementation of the DWM initiative. Through a multi-year collaborative process, San Diego Regional EDC, Biocom, City of San Diego, CONNECT, GO-Biz, Port of San Diego, Qualcomm, San Diego County Regional Airport Authority, San Diego State University, and UC San Diego have been working together with nearly 400 local businesses as part of the Global Cities Initiative, a joint project of the Brookings Institution and JPMorgan Chase, to develop a global trade and investment plan for the San Diego region. Mexicali, Mexico is home to over 500 national and international companies with manufacturing and assembly operations utilizing over $350 million in parts and components in the region annually. The Mexicali Supply Expo 2015 is a great opportunity to connect with the Aerospace, Metal Mechanic, Medical Device, Automotive, Electronic and more, professionals who are looking for suppliers to meet their fabrication needs. Expo Eco Baja's is organized by Mexico's National Chamber of Commerce, Tijuana Chapter. Its goal is to be a reference for green business development and border sustainable growth. The 4th Annual Summit, at Riverside Convention Center, with Keynote Speaker Ed Tackett on Additive Manufacturing, and two sets of breakout sessions features topics geared for your HR department, floor supervisors, plant managers, executives and owners. The Deputy Sector Navigator (DSN) is part of the California Community Colleges Economic and Workforce Development Division's (EWD) regional strategy, called "Doing What Matters for Jobs and the Economy." The San Diego Imperial Counties Community Colleges Regional Consortium for Workforce Development serves as the regional framework to implement "Doing What Matters for Jobs & the Economy's" statewide initiative, to connect industry sector employers, community college career technical program providers, and students with current and easily accessible information, and to respond as a central point of contact. Mexicali, Mexico is home to over 500 national and international companies with manufacturing and assembly operations utilizing over $350 million in parts and components in the region annually. The U.S. Commercial Service, in cooperation with NASA, will host a dynamic, three-day business forum in Silicon Valley, Feb. 9-11, 2015, focused on opportunities for U.S. companies to meet global demand for sustainable solutions. For the first time since the North American Free Trade Agreement was signed 20 years ago, the mayors of San Diego and Tijuana on Tuesday signed an agreement to cooperate on a broad range of issues, including pollution, economic development, police and fire services, technology transfer and regional planning. Seven Southern California-based companies participated in the North America Manufacturing Partnership Trade Mission to Baja California, Mexico, organized by the San Diego CITD, U.S. Department of Commerce - San Diego Office, California Manufacturing Technology Consulting (CMTC), U.S. - Mexico Chamber of Commerce - California Pacific Chapter, and the Tijuana EDC. 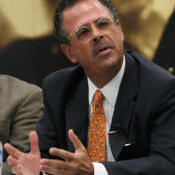 As part of an ongoing effort to advance curriculum alignment for International Business programs with industry needs, the Deputy Sector Navigator (DSN) for Global Trade and Logistics, Victor Castillo, convened a meeting with a collaborative of international business faculty from various community colleges in the region, referred to as the Knowledge Community. The Tijuana Innovadora conference is a biennial international event that was created in 2010 to serve as a platform for promoting the City of Tijuana as an important hub of technology, science and culture. You are cordially invited to attend the ICEED 2014 Annual Conference, which will feature presentations from distinguished educators from higher educational institutions from Canada, Mexico, and the United States as well as professionals from the private sector. Join the San Diego CITD at BajaMak 2014 on October 23rd in Tijuana, Mexico. Selected by the US Secretary of Commerce as one of the 12 advanced manufacturing communities in the country, San Diego is on the forefront of helping to strengthen American manufacturing. The Tijuana EDC and the Secretariat of Economic Development of Tijuana will be hosting an industrial tour that will showcase the region's competitiveness in and help further develop the supply chain of Aerospace an Defense companies in the Cali Baja Mega Region. The San Diego CITD and Deputy Sector Navigator for Global Trade & Logistics - San Diego & Imperial Region - will be hosting a tour of the Port of San Diego's Marine Terminals for local High School and College CTE teachers. Join the U.S. Department of Commerce, US-Mexico Chamber of Commerce, CMTC - California Manufacturing Technology Consulting, Tijuana Economic Development Corporation (DEITAC), and Center for International Trade Development on a trade mission to the most important manufacturing supply chain trade show in Northwest Mexico -BajaMak - which will be held in Tijuana, Mexico. Join the San Diego CITD and Southwestern College at the 2014 Tijuana Innovadora international event. Selected by the US Secretary of Commerce as one of the 12 advanced manufacturing communities in the country, San Diego is on the forefront of helping to strengthen American manufacturing. Manufacturing supports more than 90,000 jobs throughout San Diego County. EXPORTECH is a comprehensive program designed for manufacturers to expand their global markets. The program brings together all of the elements to assist manufacturers in developing export plans that include assistance with logistics, distribution, country selection, fees, regulations, best products to export and much more. The California Centers for International Trade Development, in collaboration with the California Department of Food and Agriculture, is hosting a premiere trade event featuring California's food and agricultural products. The California Hispanic Chambers of Commerce held its annual convention in Orange County from Aug. 13-15 where more than 3,000 entrepreneurs, small business advocates, and corporate representatives gathered to learn about the latest trends in business development, network with other business professionals, and gain insights into growing and maintaining a successful business. The California Centers for International Trade Development, in collaboration with the California Department of Food and Agriculture, is hosting a global trade event featuring California's consumer oriented food products. This event provides California's food producers and exporters the opportunity to meet with over 40 buyers from China, South Korea and Southeast Asia. The CHCC annual convention will bring more than 3,000 entrepreneurs, small business advocates and corporate representatives together to Garden Grove Aug. 13-15. The Fall 2014 Seminar Schedule for the Global Business Strategy Certificate Program at USD has just been released. Save the date for BajaMak 2014 on Oct. 23 in Tijuana, Mexico. EXPORTECH is a comprehensive program designed for manufacturers to expand their global markets. Did you know that 95 percent of consumers live outside the United States? And a whopping two-thirds of the world's purchasing power is in foreign countries! The U.S. House of Representatives has approved $216.82 million to fund the final phase of the San Ysidro Port of Entry Modernization and Expansion Project. WUSATA will be hosting a Central America and Mexico Fresh Produce Inbound Buying Mission in California and Washington July 14 - 16, 2014. The Deputy Sector Navigator for Global Trade and Logistics- San Diego & Imperial (DSN-GTL) and the CITD recently released a labor market gap analysis for its industry sector. Given our border relationship and long-lasting historical, cultural and economic ties, Mexico is a natural partner to further expand two-way trade and investment, and strengthen cooperation on global climate change. The San Diego District Office of the Small Business Administration (SBA) conducted its annual Small Business Awards event at the Town & Country Hotel in Mission Valley. The breakfast event celebrated local small businesses that have persevered and succeeded as well as those who advocate for small businesses. Agencia de Proyectos Baja along with cycling groups and associations in Baja California have teamed up to create the first edition of Expo Ciclismo 2014. Companies invited to participate as exhibitors are: bicycle manufacturers, replacement parts makers, uniforms and specialized clothing suppliers and cycling accessories suppliers. Over the last 25 years, the Otay Mesa Chamber of Commerce has organized what has become the region's premier industrial trade show. The University of San Diego (USD) hosted a seminar on academic and career success for students of Chula Vista Learning Community Charter High School. Every year since 1997, SANDAG has organized a Binational Conference to address a variety of border related issues. U.S. Representative Scott Peters, Congressman for California's 52nd District, in conjunction with the Port of San Diego, San Diego and Imperial District Export Council, and theU.S. Commercial Service San Diego, hosted a free export seminar for San Diego small businesses. Want to expand your business by becoming a supplier to major manufacturers in Baja California? The San Diego Regional Investment Center (SDRIC) is an EB-5 Regional Center approved by the United States Citizen and Immigration Services (USCIS) to provide immigration through investment. CANACINTRA, a chamber of commerce representing companies in the manufacturing/processing industry, hosted a Binational Supply Chain Seminar at its offices in Tijuana. Southwestern College's Center for Technical Education and Career Success (CTECS) hosted it's first Small Business Expo and Forum at the college's main campus in Chula Vista. Thirty-five high school teachers from across the Inland Empire/Desert Region participated in an intensive two-day training in San Diego related to global trade and entrepreneurship. The Deputy Sector Navigator (DSN) for Global Trade & Logisitics and the CITD convened a meeting with representatives of local companies involved in international trade and community college educators to discuss the skills employers look for in employees in this industry. The National Chamber of Transformation Industry-Tijuana Chapter (CANACINTRA) is organizing the first Baja Expo Spa. Tijuana's chapter of the National Chamber of Transformation Industries (CANACINTRA, as it is known in Mexico) will be hosting a monthly seminar on supply chain opportunities in Baja California's manufacturing sector. To prepare the next generation of global business leaders, the Ahlers Center for International Business developed theCertificate in Global Business Strategy (GBS) to help business professionals focus on new product, market, and leadership topics in a global setting. The export opportunities for San Diego sporting goods companies are growing as the industry grows worldwide. Medtronic, one of the world's largest medical technologies company, was the latest company to participate in the Otay Mesa Chamber of Commerce's MEXPORT Supplier's Forum. The U.S. Department of Commerce, Bureau of Industry and Security will be conducting a two-day hands-on workshop on export control issues, March 26 - 27th at the Hilton in Del Mar. The annual Mexicali Supply Expo (MSE) was held on Thursday, Feb. 27 in the city of Mexicali, Baja California. The industrial trade show's mission is to serve as a business platform for local manufacturing companies and their potential suppliers. The San Diego District Office of the U.S. Small Business Administration (SBA) launched its 4-part export training program on February 19th, 2014. Assemblymember Jose Medina (D-Riverside) Chair of the Assembly Jobs, Economic Development, and the Economy Committee (JEDE), held a JEDE Committee hearing at the Port of San Diego administration building to examine how the Southern California goods movement system impacts the state's global competitiveness and ability to retain high paying jobs. The Center for International Trade Development (CITD) and the Deputy Sector Navigator (DSN) for Global Trade and Logistics at Southwestern College convened a meeting at which community college faculty and administrators from Region 10 presented their International Business programs with the goal of igniting collaborations and aligning curriculum with the needs of industry. Is MINT the New BRICS? Economist Jim O'Neill, who coined the acronym BRIC in 2001 for the grouping of the economies of Brazil, Russia, India, and China (South Africa was added to the group in 2010 and the acronym changed to BRICS), is now touting MINT after the four emerging economies he believes could be in the world's top ten economies in the coming decades. As part San Diego's ongoing participation in the Brookings Institution's Metropolitan Export Initiative, a partnership of local leaders from various civic, educational and economic development organizations recently released a comprehensive export plan for the region. The San Diego Unified School District (SDUSD) held its 2nd Annual Student Store Competition on January 16th, 2014 at Madison High School. The Mexicali Supply Expo brings together the local, regional, and international suppliers that support the strategic industries established in Mexicali, Baja California. Join the San Diego CITD and the Otay Mesa Chamber of Commerce at the MEXPORT Supplier's Forum on March 6th from 8:30-10 a.m. The San Diego District Office of the U.S. Small Business Administration (SBA) is hosting a a 4-part export training program starting on February 19th. Baja California is a center of innovation and dynamism along the U.S.- Mexico border. Tijuana, Baja California's largest metropolis, is on track to double its population to four million by 2030. With improvements in the security situation and realizing the benefits of nearshoring, companies are once again setting up shop in Baja California rather than turning to Asia. Join the Center for International Trade Development in Sacramento and the Hispanic Chambers of Commerce in Sacramento, Alameda County, and San Jose on a trade mission to Mexico. Mexicali Supply Expo brings together the local, regional, and international suppliers that support the strategic industries established in Mexicali, Baja California. US-Brazil Connect offers a paid fellowship program that takes outstanding U.S. students and emerging professionals to Brazil. The program is not your typical travel experience - it's a mutual exchange that encourages Fellows to take on new challenges and build relationships that last a lifetime. Southwestern College's Higher Education Center at Otay Mesa (HECOM) has been named "Service Provider of the Year" by the Otay Mesa Chamber of Commerce. We recently updated the International Trade Online Training section of our website with additional resources. New to international trade and even existing exporters can learn about various trade topics through podcasts, videos, and webinars presented by industry experts from the CITD network and the U.S. Department of Commerce. Two weeks after Typhoon Haiyan devastated portions of the central and eastern Philippines, much aid is still needed. The San Diego Center for International Trade Development (CITD) and the National City Chamber of Commerce co-hosted a seminar for area manufacturers titled "International Opportunities and Resources for San Diego Manufacturers". The U.S. Commercial Service and the San Diego District Export Council will host an event with a series of export compliance workshops in San Diego on Dec. 5. The San Diego CITD hosted a meeting with a delegation of women entrepreneurs from Bangladesh, Burma, and India interested in learning about the various business development programs available for small businesses in the U.S. The San Diego CITD will be hosting a seminar on Nov. 13, in collaboration with the National City Chamber of Commerce, geared toward helping regional manufacturers grow their businesses. Our Youth Entrepreneurship Program (YEP) Fall 2013 Business Plan Competition is now open! Save the date for a seminar on international opportunities and resources for San Diego manufacturers, hosted by the National City Chamber of Commerce in conjunction with the San Diego CITD. Join the San Diego CITD on Oct. 24 at the BajaMak tradeshow and expo in Tijuana, Mexico. The Baja California Medical Cluster, a non-profit association formed by medical manufacturers in the region, put on its annual MedSummit event at Tijuana's new Baja California Conference and Exhibition Center. The goal of the event was assist the medical device industry with finding regional suppliers. The San Diego CITD conducted a seminar on export documentation at the Mission Valley campus of Point Loma Nazarene Univeristy. The seminar, geared toward new and existing exporters, provided an overview of common export documentation and regulations as well as information on the proper way to prepare the documentation to avoid penalties and fines. Our Youth Entrepreneurship Program (YEP) Fall 2013 Business Plan Competition will open on Sept. 20, 2013. Potential suppliers from both sides of the border attended Baja's 4th Annual Aerospace Supplier Forum to learn about how they can tap into the more than $4 billion aerospace manufacturing industry in Baja California. The Unified Port of San Diego played host to an export training event for small businesses on Wednesday, Aug. 21. The Baja Medical Cluster along with the State's Economic Development Secretariat are organizing the "Supplier's Day of the Medical Industry" to take place at the Baja California Convention Center on Sept. 6. More than 30 entrepreneurs from across San Diego participated in a training event designed to help them grow their small businesses. As part of its Doing What Matters for Jobs and the Economy framework, the California Community College Chancellor's Office has awarded Southwestern College and its Center for International Trade Development (CITD) a grant for workforce development in the Global Trade & Logistics industry sector. The Center for International Trade Development (CITD) initiative was presented with the Presidential "E" Award at the California Community Colleges Chancellor's Office Board of Governors meeting on July 8th in Sacramento. Aaron Estrada and Victor Cruz, seniors at High Tech High Chula Vista and San Diego CITD Youth Entrepreneurship Program (YEP) participants, recently launched a video game tournament hosting business. Sponsored by the San Diego CITD and CIBER-San Diego State University, Bernardo Andrade - Adjunct Instructor for Southwestern College's Logistics and Transportation Program- attended the 10th Biennial International Business Institute for Community College Faculty at the International Business Center hosted at Michigan State University from June 2nd-5th. Greatbatch Medical, a leading manufacturer of implantable medical devices with facilities in Tijuana, Mexico, was the latest company to participate in the Otay Mesa Chamber of Commerce's MEXPORT Supplier's Forum. The San Diego District Office of the Small Business Administration (SBA) honored small business owners that have persevered or excelled in challenging economic times at its annual SBA Awards Luncheon held on June 12th at the Scottish Rite Center in Mission Valley. In addition to recognizing local businesses for their success, the SBA also acknowledged small business advocates for their contributions to the community. Check out these upcoming San Diego Center for International Trade Development events. The International Business Association, together with its partners, invites you to attend the IBA Global Perspective on International Trade Seminar & Networking Series. On June 12th, the San Diego office of the Small Business Administration (SBA) will be honoring small business owners that have persevered or excelled in challenging economic times and acknowledge small business advocates at its annual awards luncheon. The luncheon will be held in Mission Valley at the Scottish Rite Center from 11 a.m. - 1:30 p.m. The White House recently presented the Presidential "E" Award to the California Community College Chancellor's Office for their Centers for International Trade Development (CITD). The San Diego CITD, in collaboration with the City of Tijuana's Secretariat of Economic Development (SEDETI) and Mexico's National Chamber of Transformation Industries (CANACINTRA) - Tijuana Chapter, hosted the 1st Bi-national Small Business Forum in Tijuana, Mexico. As a way to facilitate cross-border trade, the Otay Mesa Chamber of Commerce has organized, for more than 24 years, what has become the region's premier industrial trade show. Known as MEXPORT, the trade show promotes supplier opportunities with major manufacturers in the Southern California/Baja California region. The San Diego CITD, in conjunction with the City of Tijuana's Economic Development Agency, U.S. Small Business Administration -- San Diego Office, California STEP, U.S. -- Mexico Chamber of Commerce, CANACO Tijuana, and CANACINTRA Tijuana, is hosting a business-to-business matchmaking forum geared toward assisting California-based small and medium-sized companies with selling to Tijuana's growing marketplace. Interested in expanding your business internationally?Greatbatch Medical is looking for regional suppliers. Financial Education Week, the week-long financial literacy program, organized by the Mexican Consulate in San Diego, in collaboration with the City of National City, City of Chula Vista, San Diego County Office of Education, Alliant International University, California Foundation Fund, San Diego CITD, and other community-based organizations, concluded with a half-day closing event on Saturday, April 27. Baja California's manufacturing industry represents a $13 billion supplier's market. MEXPORT 2013, organized by the Otay Mesa Chamber of Commerce, will take place on May 16th and is the region's premier trade show promoting supplier opportunities in Baja California's manufacturing industry. 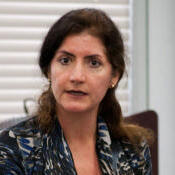 California Community Colleges Vice Chancellor for Economic and Workforce Development, Van Ton-Quinlivan, recently tweeted about the International Logistics and Transportation Program at Southwestern College being a way that community colleges are helping to support exporting in the state. The San Diego District Office of the U.S. Small Business Administration recently announced its local Small Business Week Award recipients. As part of its annual National Small Business Week activities, the SBA recognizes small business owners and leaders in the community that provide support to small businesses for their outstanding achievements through various awards. After being knocked for a loop by the Great Recession, San Diego County international trade is surging close to the record highs it hit before the downturn began. And much of that growth comes from just one country -- Mexico -- thanks to a new wave of maquiladoras opening or expanding across the border. The city of Murrieta's International Business Center is celebrating the visit in March by Changsha No. 1 High School (Changsha, Hunan Province, China) to Murrieta. 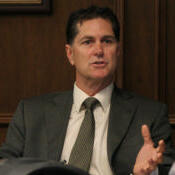 The event will take place at 9 a.m. on Tuesday, April 9 in City Hall on 1 Town Square in Murrieta. The Youth Entrepreneurship Program (YEP) will be participating in a financial literacy event called Financial Education Week, April 22nd - 26th. The week-long event, organized by the Mexican Consulate in San Diego, in collaboration with the City of National City, City of Chula Vista, San Diego County Office of Education, Alliant International University, California Foundation Fund, San Diego CITD, and other community-based organizations, will feature workshops and activities in Spanish on personal finance topics. The deadline for the Spring 2013 YEP Business Plan Competition is just around the corner. Business plan submissions must be received by 5 PM on April 17th. The San Diego CITD recently launched a new website to promote the International Logistics & Transportation Certificate/A.S. Degree Program at Southwestern College. The program offers a basic and intermediate certificate and an A.S. degree that will prepare students for different career goals in the industry. The U.S. Small Business Administration and Visa are holding a video contest for businesses that have used a federal program or assistance to help them export their products or services. Contest entrants have a chance to win up to $10,000 by highlighting how they became a successful small business exporter. The San Diego CITD invites you to attend this complimentary Dim Sum Networking Lunch, hosted by the Hong Kong Trade Development Council (HKTDC), to learn more about business opportunities emerging in Asia and the Chinese mainland. The HKTDC will also be organizing a "Think Asia - Think Hong Kong" event at the JW Marriott LA Live in Los Angeles on June 14th. The San Diego CITD, in conjunction with the City of Tijuana's Economic Development Agency, U.S. Small Business Administration - San Diego Office, California STEP, U.S. - Mexico Chamber of Commerce, CANACO Tijuana, and CANACINTRA Tijuana, will be hosting a business-to-business matchmaking forum geared toward assisting California-based small and medium-sized companies with selling to Tijuana's growing marketplace. MEXPORT 2013 is approaching fast, however, there is still time to register for no-cost one-on-one business counseling appointments at the show. Register today! The city of Murrieta, InSoCal Connect, the USA Continental Regional Center and Swenson Advisors have teamed up to host the InSoCal Connect Thought Leadership Forum scheduled for 11:30 a.m. on Friday, April 12 at the USA Continental Regional Center in Murrieta. Learn about opportunities in Africa, the Middle East, and South Asia. As part of a strategic alliance with the Mexican Business Council of Foreign Trade, Investment, and Technology (known as COMCE in Mexico) and the Tijuana Economic Development Corporation(known as DEITAC) to facilitate assistance to small businesses that are interested in expanding through cross-border trade, the San Diego CITD conducted its "How to Open a Business and Establish Operations in the U.S." seminar on Feb. 7 at DEITAC's Business Center in Tijuana, Mexico. Do you sell bowling balls to Bangladesh? Or dish towels to Delhi? Maybe you send laser technology to Lisbon? If you export your goods or services around the world and have used a federal government program or assistance to get there, the U.S. Small Business Administration and Visa Inc. want to see your story. San Diego Mayor Bob Filner launched the city's first official office in Tijuana on Friday, saying it could serve as a base where the cities could work on everything from improving border-crossing times to making a joint pitch for the 2024 Olympics. Our Youth Entrepreneurship Program (YEP) Spring Business Plan Competition is now open and the deadline for submissions is March 15th, 2013. The San Diego CITD recently had the opportunity to promote assistance to California-based music companies looking to expand internationally at The NAMM Show. The deadline for submissions to our Youth Entrepreneurship Program (YEP) Fall Business Plan Competition recently closed and we received eight full business plans from participants at the high school and college levels. The plans are now being evaluated by our panel of professional business advisors to determine the winners. As part of our strategic alliance with the Mexican Business Council of Foreign Trade, Investment, and Technology (known as COMCE in Mexico) and the Tijuana Economic Development Corporation (known as DEITAC) to facilitate assistance to small businesses that are interested in expanding through cross-border trade, the San Diego CITD will conduct its "How to Open a Business and Establish Operations in the U.S." seminar on Feb. 7 at DEITAC's Business Center in Tijuana, Mexico. The Southwestern College Logistics and Transportation Certificate/A.S. Degree Program prepares individuals for international trade related clerical and administrative careers in warehousing, distribution, transportation and inventory. Save February 21, 2013 for this seminar on exporting opportunities called "The Border, Ports, and Trade: Southern California and Global Markets", hosted by the San Diego CITD, in conjunction with the Unified Port of San Diego, the Port of Los Angeles, and sponsored by Citibank. The San Diego CITD is now offering international trade counseling at the offices of the East County Economic Development Council. The city of Murrieta teamed up recently with the World Trade Center San Diego to host an export training seminar in Murrieta. The Murrieta Economic Development Department and the World Trade Center San Diego are hosting a seminar on "mastering exports" for the business community from 11:30 a.m. to 1:30 p.m., Tuesday, Jan. 29 at the Murrieta Public Library. The border meant business during the fall, with September and October being busy months throughout the Cali-Baja Bi-national Mega-Region. Join the U.S. Department of Commerce, U.S. & Foreign Commercial Service along with other local, national and international partners in Los Angeles, Tuesday, Dec. 4, and San Diego, Thursday, Dec. 6, for engaging and interactive workshops addressing the Export Administration Regulations (EAR), International Traffic in Arms Regulations (ITAR) and related trade compliance requirements, responsibilities, roles, problems, exposure, liability and risk that organizations and individuals face. San Diego and Tijuana have quietly fostered a working relationship over the years, and now is the time to tell the world.